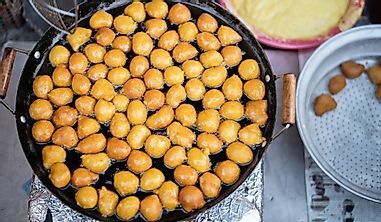 The stunning skylines of New York, Chicago, Los Angeles and other cities listed herein have often inspired and awed both their residents and visitors from around the world alike. 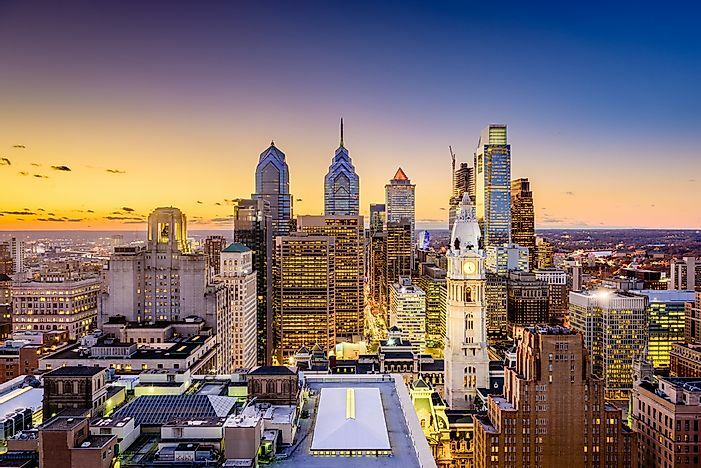 The symmetrically pleasing skyline of Philadelphia, Pennsylvania, USA. A skyline is like the fingerprint of a city - no two skylines are completely alike. 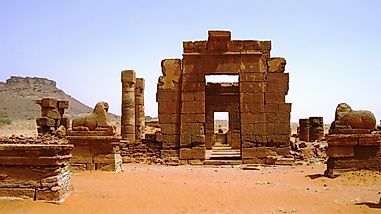 They are shaped by artificial and natural features that rise to create a unique view of the sky as viewed from the ground. The US has hundreds of skylines created by the thousands of skyscrapers that rise in various city with the country. 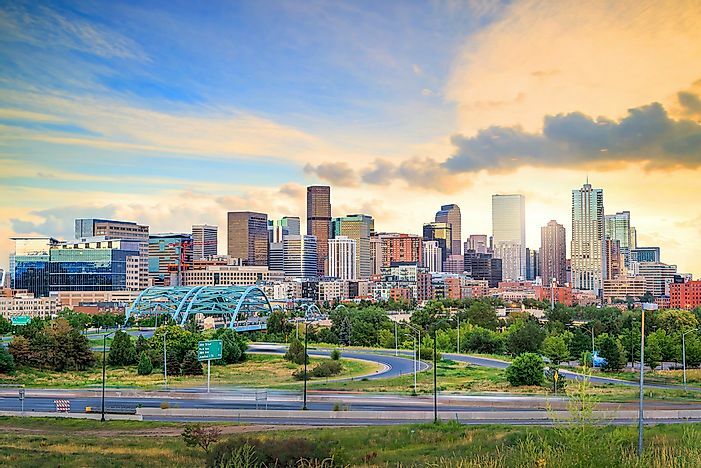 This article looks at the twelve most (subjectively) impressive skylines in the US. 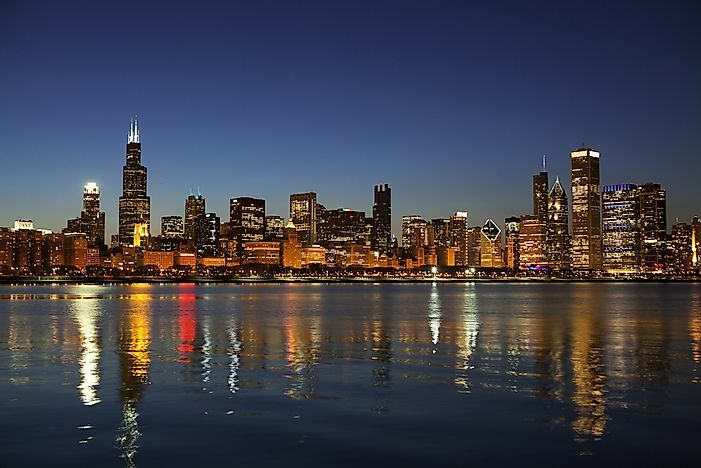 There's no denying the city of Chicago has one of the best skylines in the world. The city has five scrapers that rise to more than 1000ft with its tallest building, the Willis Tower, rising to about 1451ft. Although the city experienced a rapid growth in the number of towers constructed in the 20th century, unlike other cities, it maintained a well-organized skyline that considered as one of its landmarks. 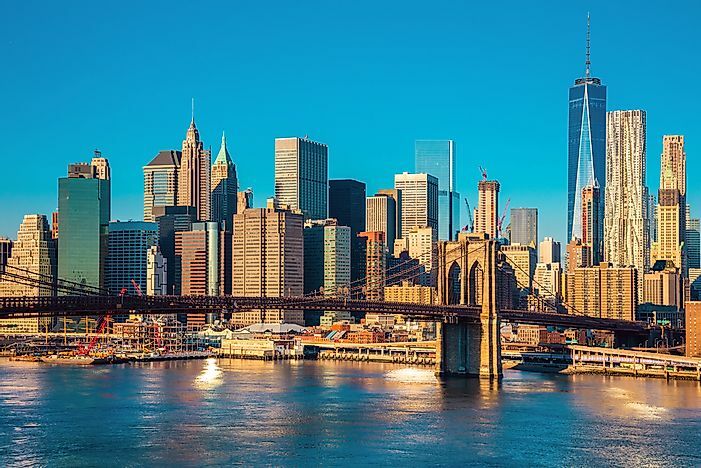 The skyline of New York is among the most recognizable skylines in the world. The towers of the city nearly doubles the towers in Chicago. Although the skyline lost its iconic World Trade Center buildings in 2001, it has since bounced back with five more megatalls including the One and Four World Trade Centers. The skyline is said to be most impressive when the city is viewed from New Jersey. A glimpse of Philadelphia’s skyline from the Interstate 76 is simply marvelous. 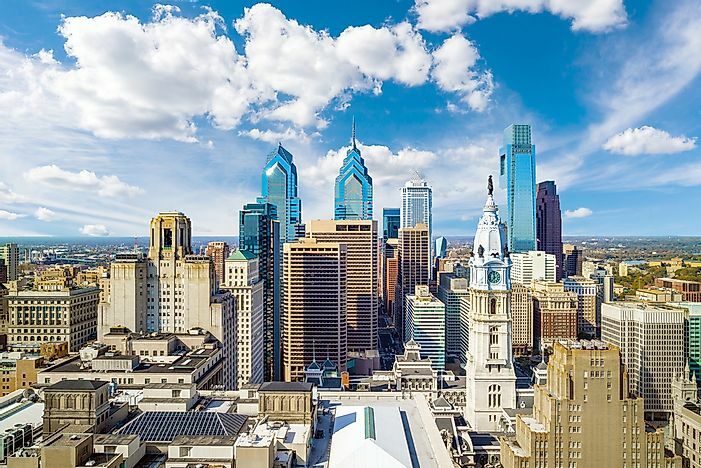 The fifth-largest metro in the US boasts of the Bell Atlantic Tower, Mellon Bank Center, Comcast Center, and the One and Two Liberty Place, all of which rise above 700ft. The One Liberty Observation Deck offers an opportunity for a panoramic bird’s-eye view of the city from the 57th floor of the tower. The city’s skyline is set to change when the more than 15 towers under construction are completed. 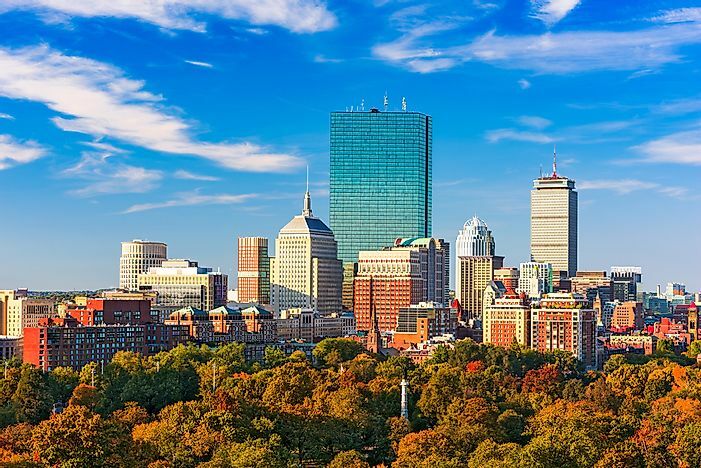 Boston is one of America’s oldest cities. 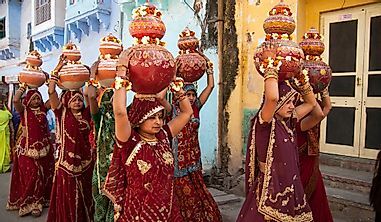 It is characterized by brick row houses which were popular in the 19th century, narrow streets and old-fashioned gas street lamps. However, when viewed from afar, the maze of charming streets and the stacks of towers clustered in Massachusetts Bay brings an all new charm to the city. At 790ft the John Hancock Tower is the tallest in the city followed by the Prudential Tower at 749ft. The city’s skyline is viewed best from Charles River where the rising towers are mirrored by the slow-moving water. 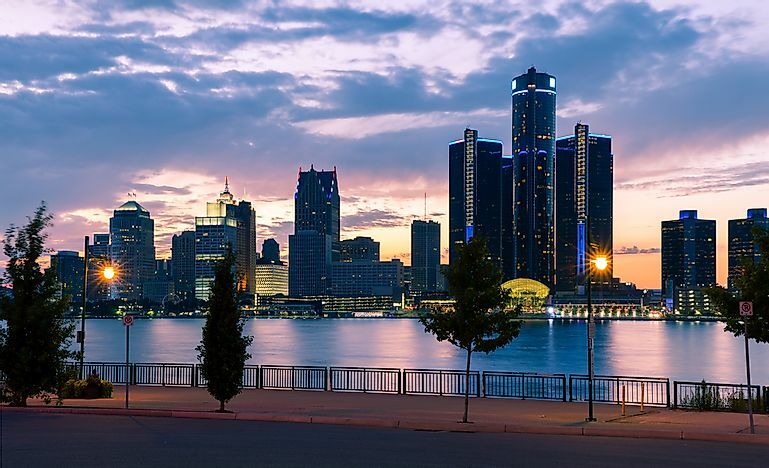 The city of Detroit is home to Ford, General Motors, and Chrysler and is therefore referred to as the "Motor City." The Detroit Marriott and the One Detroit Center are among the city’s landmarks. Although it may not be the largest skyline in the country, there is something about the organized layout of the city's art deco skyscrapers that makes this skyline a memorable one. 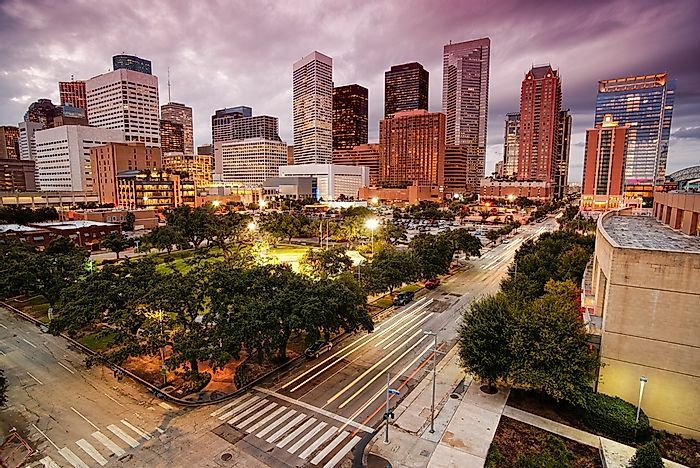 The Houston skyline is characterized by more than 32 towers that rise above 500ft, 10 of which are more than 700 ft. Unlike in Chicago where the tall skyscrapers are crumbled together, the Houston skyline is considered as both dense and sparse with several tall buildings spread across the city. The JP Morgan Chase Tower and the Wells Fargo Plaza rise to 1,002 and 992 respectively are the two tallest towers in the city. The 901-ft Williams Tower in Galleria district is the tallest building outside the CBD. 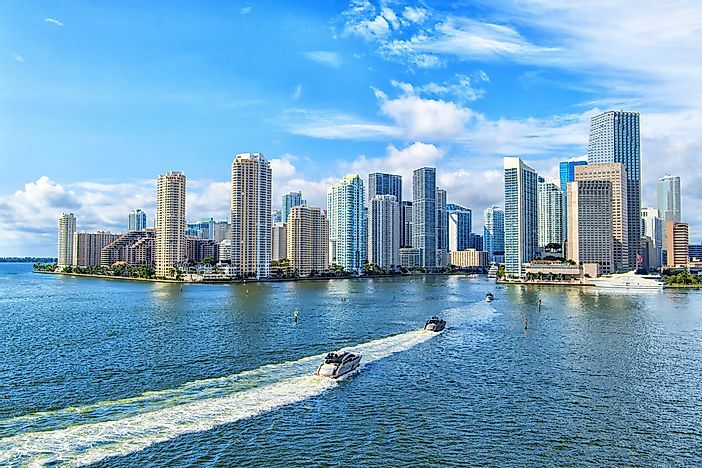 The Miami skyline is a considered a spectacle mainly because a large portion of towers is located along the Atlantic coastline. The city boasts of 28 skyscrapers which rise above 500 ft. The skyline is largely shaped by the Four Seasons Hotel at 789 ft., the 764ft tall Wachovia Financial Center, and the 900 Biscayne Bay and Marquis at 712 and 679 ft respectively. The city continues to grow, and the skyline is expected to change as several buildings are being constructed including the 822-ft tall Panorama Tower and the 990-ft tower named Sky Rise Miami. 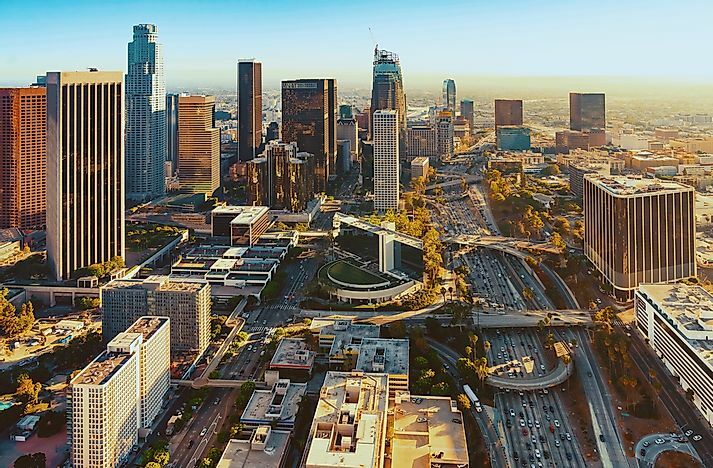 The skyline of Los Angeles is characterized by dense and clustered towers located in the city's downtown. The city is home to seventy-nine towers which are more than 550 ft. in length, but only eight are over 700ft. The US Bank Tower is the tallest building in the skyline standing 1,018 ft above the ground, Aon Center is the second tallest building at 858 feet. The Wilshire Grand Tower is still under construction and is set for completion at the end of 2017, once completed the tower will the tallest building with a height of 1,250 feet. 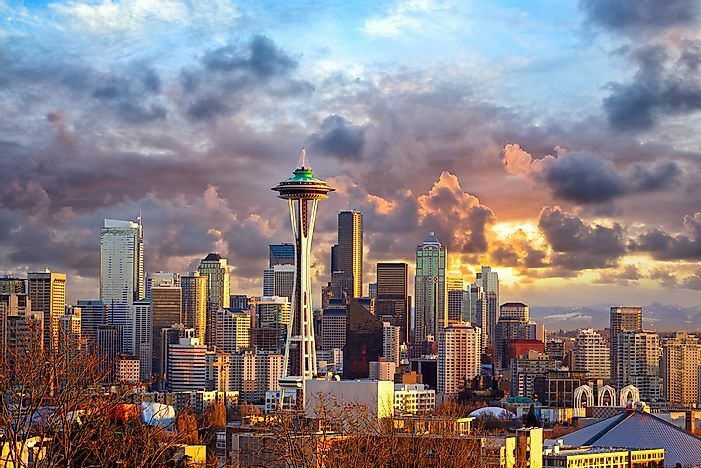 The Seattle skyline is among the most distinctive in the United States. It is characterized by architectural towers located in steep hill, a space-age national landmark; the Space Needle, and Mount Rainier in the rear. The Columbia Center is the city’s tallest building at 937ft and the 24th tallest building in the country. By 2025 the skyline is expected to change thoroughly when the more than 58 towers under construction are completed. 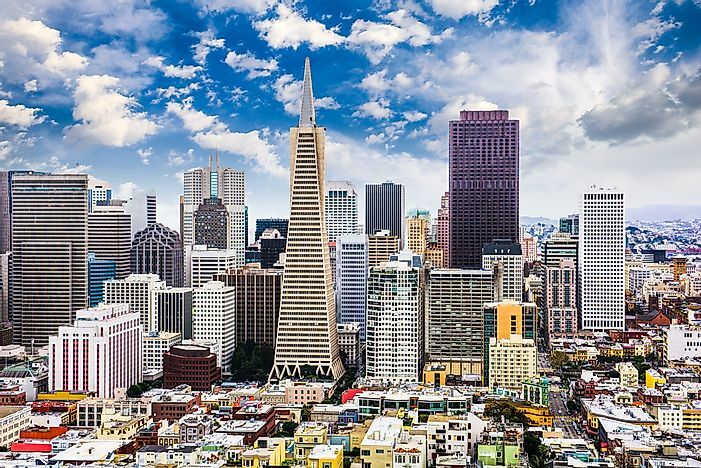 The eclectic architecture, stunning waterfront setting, and the rolling hills make the city of San Francisco one of the most exciting places to visit in the US. Its skyline is characterized by one of America's most notable landmark - the Golden Gate bridge. The 1070ft tall Salesforce Tower is the tallest building in the city's skyline. The Transamerica Pyramid is the city’s landmark and the second tallest building at 853ft tall. Just like many other cities in the US in the 1970s and 80s, Denver’s CDB and adjacent neighborhoods contained several open parking lots. The efforts to develop these parking lots were successful, and several high-rise building rose to form the city’s skyline. The Republican Plaza and the 1801 California Street buildings are the two tallest towers at 714 and 709ft respectively. 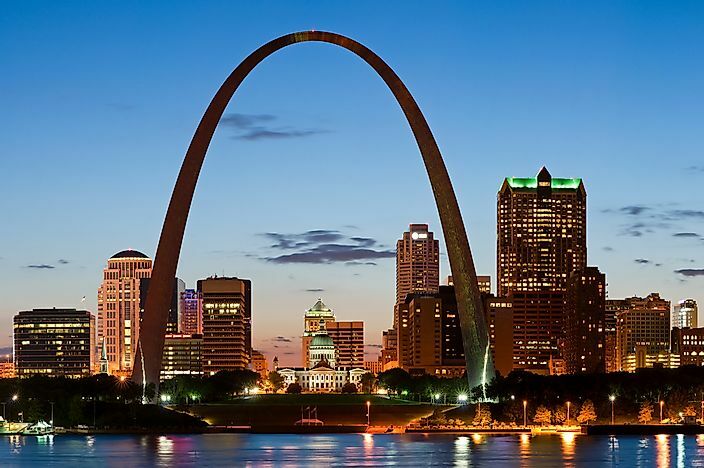 The Gateway Arch is the most recognized structure in St Louis, Missouri. 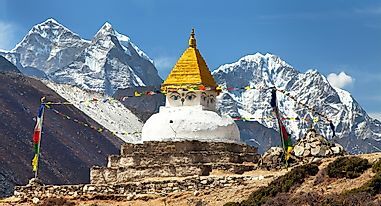 It is both a regional and national landmark. It is the tallest structure in St Louis' skyline at 630 ft above the ground, while the One Metropolitan Square is the tallest habitable building. The skyline is defined by a cluster of buildings west of the Arch and the Mississippi River.